"Following a previously unsuccessful attempt, we approached Seperia, who helped us build our PPC activity from scratch. Seperia brought the experience and approach necessary to build and sustain this marketing channel. With Seperia's help, we were able to enter new markets whilst reducing CPA." Stockpair offers a leading online service for binary options and pair options trading, serving clients in over 100 countries. When Seperia began working with Stockpair in 2011, their core product offering was Pair Options, which was unique to the market and relatively unknown. Stockpair’s AdWords account, set up by their previous agency, was struggling to gain traction as it was faced with a low quality score and thus minimal ad impressions. Goal 1: To build a better and more stable AdWords account, getting the account on its feet. At this time, Stockpair had very few sources of traffic, and was lacking a strong affiliate network to drive new users to the site. Seperia was therefore responsible for scaling up the volume of clicks to the site. Restructured Stockpair’s account according to our methodology, establishing a concrete foundation from which the account could grow. Ensured all targeted keywords were covered in the account. To increase the quality score, we created smaller ad groups with specific ads tied to relevant landing pages. Added negative keywords at the adgroup level, to maximize relevant impressions, therefore increasing CTR. Within 6 months of rebuilding Stockpair’s AdWords account, we were able to achieve a decent quality score between 6-9, resulting in increased exposure and traffic. As such, AdWords had become a viable channel for traffic and customer acquisition. Goal 2: To reduce Stockpair’s CPA to below the industry average. In their attempt to reach as many potential traders as possible, Stockpair was targeting a wide range of potential clients, representing both high value and low value traders. CPA therefore had to be reduced to efficiently cover the costs of targeting those lower value traders. Focused on increasing the higher value traffic that would convert as depositors. Working with our Edge.BI technology, we identified the source of traffic that generated these depositors, then focused our activity on these sources. Such sources included leading geographic locations and highest performing keywords. By redesigning the account and raising Stockpair’s quality score, we could reduce CPL (cost per lead), which led to a reduction in CPA. By the end of the first year of activity, Seperia had reduced Stockpair’s overall CPA by 20%, followed by a 50% reduction the year after. Goal 3: To enter the (non-English speaking) European market. 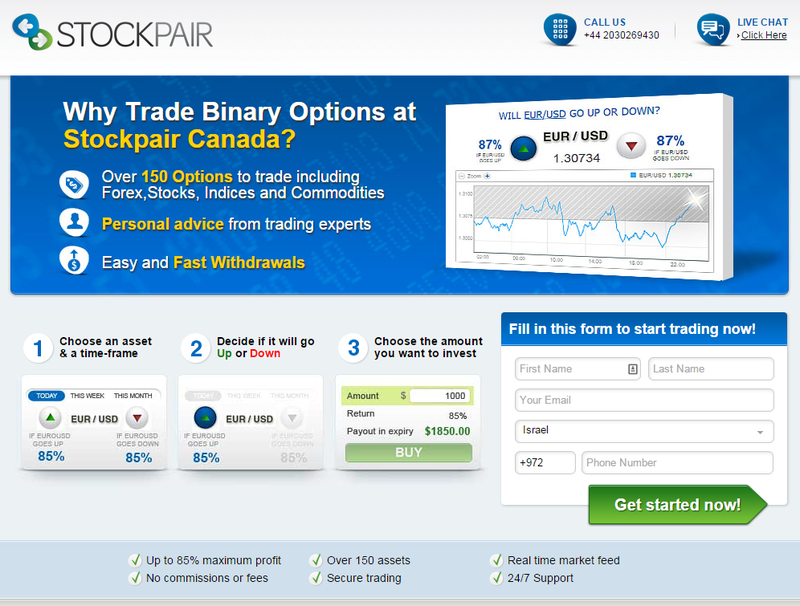 In 2012, Stockpair reshaped their business model and entered the binary options market. Following this business shift and the improvement of their quality score, Stockpair’s activity grew steadily across English speaking markets around the world. However, as the US shut down binary options trading, the company now had a new goal: to enter the (non-English speaking) European market. At first, the change in their business model created issues for their AdWords account. Due to Stockpair’s brand and previous landing page content, Google had already segmented Stockpair as a Pair Options provider. This shift affected their quality score, leading to low rankings for ‘binary options’ related search queries. We were again faced with the challenge of rebuilding Stockpair’s quality score and enhancing their position in the binary options field. Our team focused on shifting Stockpair’s account to Binary Options so Google would understand that the product offering and thus the Stockpair brand had changed. 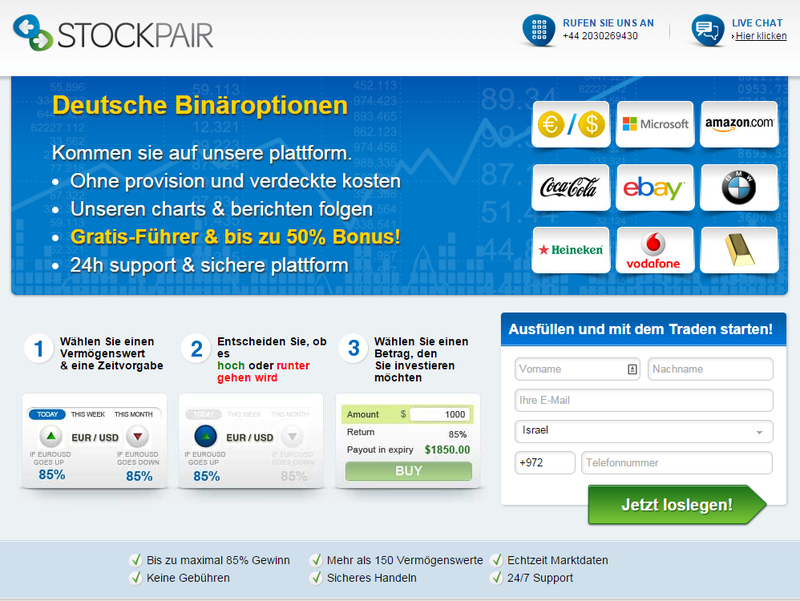 Stockpair’s AdWords account was optimized to target more core keywords in the Binary Options field. Our team also focused on matching each ad to its most relevant landing page. Localized all ad and landing page content- landing pages were created in over 5 languages. Landing pages were highly targeted, featuring the name of the country in the page’s copy, adding a local feel to the page. To further strengthen Stockpair’s brand image and build awareness, campaigns were implemented across the Google Display Network (GDN). Our GDN campaigns had a positive impact on Stockpair’s brand performance- as activity on GDN increased so too did brand name searches and CTR. When we began activity in Germany, CPA was high, but within 6 months we were able to increase and stabilize the activity whilst reducing CPA by approximately 70%. Since activity in Italy began in December 2012, the number of depositors has more than doubled whilst CPA has been decreased by over 80%. Stockpair’s growth excelled: Seperia has been able to double year on year activity whilst reducing CPA overall by over 50%.